“Wealth is more than a calculation. It’s personal. I’ve asked REDE to help give me the clarity to make objective decisions. I’m defining my relationship with wealth— and REDEFINING ordinary.” Please see important disclosure. Time to take control of your wealth management—without being overwhelmed, confused, or isolated by the size of the task that planning your financial future by yourself can appear to be. When we work together, you get a snapshot of your current retirement picture, plus a short list of specific actions that will help you achieve your version of wealth. You also get to choose how involved or hands-on you would like to be in your day-to-day wealth management. No matter what, we will sit with you to define what matters most for you. We will also set up structures and systems that empower you to move steadily toward your investment goals. Too often, we meet individuals who cannot seem to make forward progress. They might avoid their wealth entirely, letting it languish in savings accounts. Alternatively, they make smart investment decisions but veer off course with emotional responses when market turbulence affects their portfolio. Money often triggers our emotions, but these knee-jerk reactions and impulsive decisions can lead to compounding losses for investors. Retaining investments, regardless of affinity, because we simply don’t like the idea of paying the requisite taxes. So how do you position yourself to avoid making the mistakes inherent in emotional investing? As a fee-only firm, we are compensated for providing independent advice; our compensation is not based on the number of transactions or the type of products we recommend. It all begins with your unique Investment Process. We help you strengthen and f​lex our rational decision-making abilities, even in tough situations, by working with you to create a clear investment strategy and realistic financial planning objectives. Setting parameters to track and monitor the overall process. Please Note: The scope of any financial planning and consulting services to be provided depends upon the terms of the engagement and the specific requests and needs of the client. Rede Wealth does not serve as an attorney, accountant, or insurance agent. 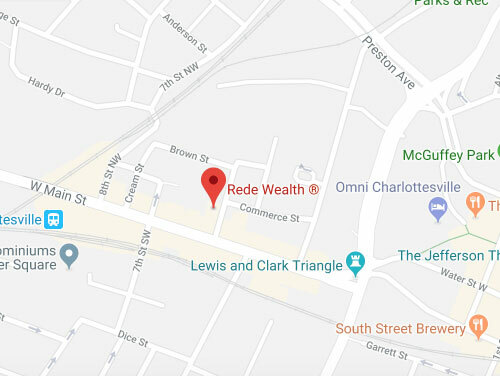 Rede Wealth does not prepare legal documents or tax returns, nor does it sell insurance products.